What Types of Communication Changes May Your Parent Experience After a Stroke? As a family caregiver, if your aging loved one has recently experienced a stroke, it is important to understand the ways this experience can impact them throughout their recovery and even after. There are many different ways this type of serious health event can impact your parent, and recognizing them ensures you give them the level of care they need to get through their recovery and to move forward in a healthier way. Senior Care Rochester NY – What Types of Communication Changes May Your Parent Experience After a Stroke? 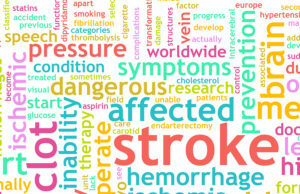 While you may be prepared for some of the changes that can occur as a result of a stroke, some changes you might not expect involve communication. Elderly adults who have gone through a stroke can experience a variety of communication changes that can alter their functioning and minimize their mental and emotional well-being. Approaching these carefully can help your parent to adapt to them and maintain their highest quality of life moving beyond the stroke. Aphasia. This disorder impacts the way your senior is able to use and interpret communication. There are three different versions. Your senior may have difficulty getting words out, difficulty understanding the words said to them, or difficulty with all forms of communication. Dysarthria. This challenge involves the control of the muscles in the face. This can cause speech to be slow, muffled, hoarse, or slurred…. Apraxia. With this condition, your senior knows what they want to say, but struggle to get the messages from their brain to their mouth. They may also have difficulty writing out what they want to say or understanding written word while reading. It is extremely important to note that these communication changes do not indicate your senior has experienced a change in their intellect. Adapting to their changes is critical to them maintaining their independence and supporting an ongoing relationship with you and those around them. It is important to never underestimate the importance of mental and emotional health and well-being when it comes to your senior’s health and quality of life. 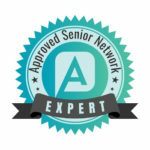 As family caregiver, you want your senior to be able to enjoy their best life I say age in place, and that means ensuring they get the social and cognitive stimulation they need throughout their later years. A senior care provider can help this happen. especially if your schedule is busy, you live at a distance from your parent, or you are a sandwich generation caregiver taking care of both your children and your senior, you may not be able to be with them as often as you’d like. A senior home care services provider can supplement to the care you give and be with your parent much more frequently so they can enjoy conversation, activities, and outings, and continued learning and building memories they will cherish as they age. If you or an aging loved one are considering Senior Care Services in Rochester NY, contact the caring staff at Caring Hearts of Rochester today! Serving Rochester, Pittsford, Greece, Webster, Canandaigua, Fairport, Perinton, Penfield, Brighton, Henrietta and surrounding communities. Call 585-245-0134.